← Did someone say that already? Hiya, publishers. I’m a big fan of having research articles accessible with a few clicks. It can sometimes be a bit aggravating to get full access, having to copy and paste proxies or go through my institutions library, but I can get over this. What I have trouble getting over is how awful your HTML versions of full-text are! Do you actually ask people using your sites what they think? Or do you leave it to your coders to decide what we, your readers, need, want, and will use whether we like it or not?!?! This particular example of suckitude comes from Elsevier’s ScienceDirect, the portal for a quarter umptillion of the journals I regularly access, and producer of what could be one of the worst html formats in science publishing (feel free to point me to worse offenders, if you’ve found them). First, let’s address the text and article container formatting. Note how the text doesn’t actually fit in its container. I don’t like my cup to runneth over because it makes a mess. Likewise, when text runneth over, it makes a mess. Then there’s the text spacing–it isn’t uniform! Any time there’s a superscript or subscript–which, shockingly enough, occurs quite often in scientific literature–the spacing changes. It leads to that sense that something isn’t quite right, even if you can’t put your finger on what it is. I’m also not a fan of the 8 pt sans-serif font, but that might just be an issue of personal preference. I don’t particularly care how many sentences “inflammation” was used in. A description or definition of the underlined word might be helpful in some cases… but that’s not there. The related content tab doesn’t add a great deal. The one good thing that came out of clicking on the link is that I found the option to disable “underlining terms” to make ScienceDirect articles a little less obnoxious. If you want to include that extra info/functionality, why not drop it into that nice, wide sidebar that is mostly blank? Moving onto figures… Thumbnails are generally not very helpful. ScienceDirect provides the option of switching to full-size images in the article. Of course, this option will likely require jumping back and forth between the text and figure. You can open figures in new tabs or windows, but most platforms only link to that single figure. I prefer the figure navigation pop-out implemented by PLoS, which allows you to jump between figures and between figures and text easily. 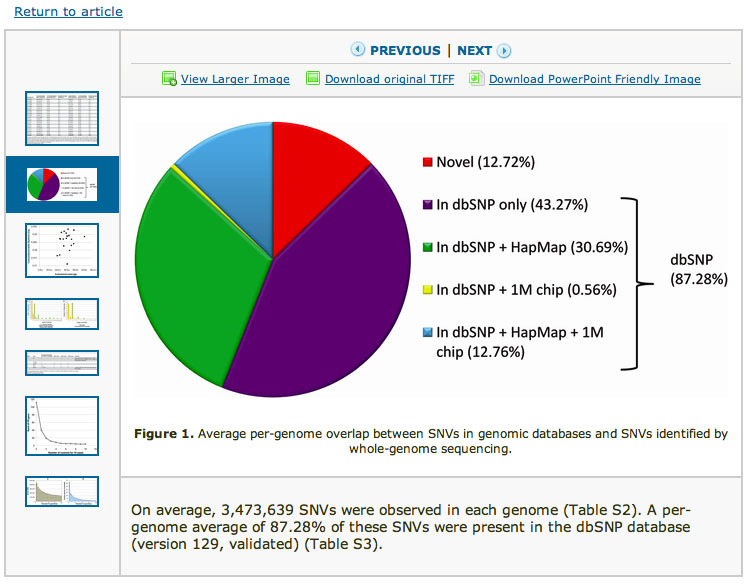 However, even PLoS fails in integrating supporting figures and tables into the main article. With all publishers I’ve encountered, you need to navigate to the bottom of the page, then download the files separately. Sometimes they’re all grouped into a single PDF. Other times there are multiple documents and images that have to be downloaded to review. Part of the advantage of electronic publishing is the ability to include these materials because you’re not restricted by page and figure limits for printing. If these supplementary figures and movies are important enough to merit their inclusion with the manuscript, then why not make them an integral part of the html article instead of footnote? All these small things and others culminate to make the html article so irritating that, more often than not, I end up downloading the PDF and printing it out so that I can actually get some use out of the article. I’m sorry, dear trees, for killing more of your siblings, but you should really take it up with the publishers. This entry was posted in publishing, resources, whining. Bookmark the permalink. I strongly recommend a PDF reader like Skim for Mac, which had awesome features. It is amazing to me that publishers haven’t figured out yet that they should be making their online articles look like blogs!! I mean think about it–we’re totally happy to sit and read blogs online all day long and that’s because the layout is nice and image integration is seamless. In contrast, reading a paper online makes me want to rip my eyes out after about 90 seconds. I only read papers online if I just want a quick answer to something, like a method detail or a baseline understanding of the findings. But if I really want to sink my teeth into a paper, I’ve got to print it out. Sorry trees! That’s where a giant screen attached to your laptop comes in handy! Then you can fit a full page from a PDF and its sufficiently large to be readable. While it’s painful to read this, I appreciate you taking the time to put together this critique. You’ve obviously thought about how publishers can do a better job with the online article. Believe it or not we do work with our users to try to improve the experience of reading articles online, and we’re aware of most of these issues (and plenty more). Why haven’t we fixed them yet? I can’t speak for all publishers but in our case we are struggling with legacy technology. ScienceDirect is a huge application, in constant use by more than 10 million researchers worldwide, which has been online since 1998 and is now at over 10 million articles. Right now we’re in the middle of a multi-year, massive rebuild of our content store which will allow us to do a much better job with basic stuff like typography and line spacing, as well as enabling us to do some really interesting new things with the actual content in the future beyond just displaying full documents for reading. This isn’t meant as an excuse, rather an explanation for why you’re still seeing some of the things you see today – this kind of effort does take time unfortunately. While that behind the scenes work is underway, we’ve gone back to the drawing board to completely rethink the HTML article, with a focus on both readability and semantic enrichment. We have some designs that we’re testing and refining right now, I’d like to hear your thoughts on them. If you’re interested, please get in touch. I don’t want to have my articles appear with semantic enrichment links. I do want to be able to read them and easily go get the references cited. I want it to be readable. I want to be able to see the figures. I want to be able to link to the page and have it always work. The ‘killing trees’ by printing things argument is bunk. Every piece of paper you buy today was made from a tree planted for the express purpose of being chopped down and made into paper. By using a reasonable amount of paper, you’re encouraging paper companies to continue to plant trees. All that fucken shite (sorry, still CPPIng my swearing today) is because they got a fucken CS dude to write a bunch of fucken scripts to “enhance the experience” without asking any scientist-readers what they wanted. This I fucken-guaran-motherfucken-tee because I spend HOURS every week working with my team of CS d00des trying to stop them doing the same fucken thing over here. I don’t care that you found a cool fucken JS widget that does XYZ. We don’t fucken need XYZ. Fucken delete it. Dude, I totally thought you were CPP when I glanced at the comment in my email. Have you heard of papers for mac? It’s like iTunes for papers, it’s awesome. Not printed a single article since! I used iPapers for Mac for a brief period (very similar concept but freely available). I’ve switched over to Mendeley and absolutely love it. 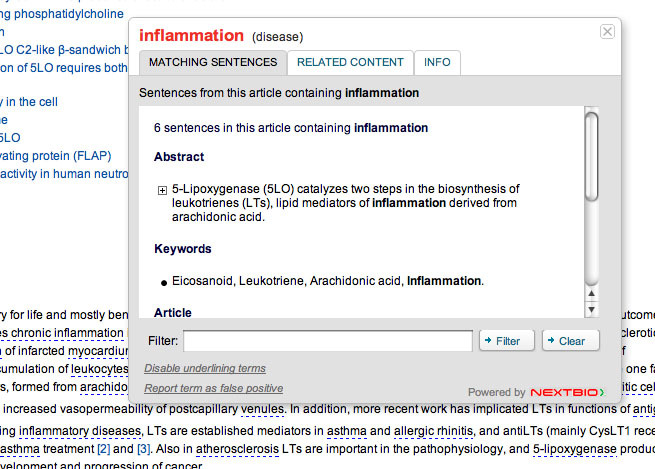 Such programs are fantastic for sorting, tagging, and annotating articles. But it still doesn’t solve the organization issue with PDFs. The problem is, PDFs are formatted in exactly the same way as the print issue, which might be okay if my screen were the size of a journal, but it’s not.